Catering at DIJON BALI covers a range of parties and weddings, brunches and lunches, cocktails and canapés or an exciting garden party barbeque! Most of all Dijon wants clients to have fun and feel satisfied after enjoying their amazing selection of food. Dijon Bali is a family run company and staff treat all guests like family. You will know that from their happy smiles. At Dijon, the stock question is HOW CAN WE HELP YOU? We were always about pleasing our customers and that is what we still focus on: happy customers. So our philosophy is Service First, personal service to guarantee customer satisfaction. We never stop trying to provide the best of a range of quality foods to meet the varied tastes of our diverse client base. DIJON BALI opened in 1999 as the first gourmet delicatessen in Bali. No business supplied small quantities of anything in the gourmet line so we saw the need and opened in October. By Christmas 1999, the news had spread and DIJON BALI was the place to be. The rest is happy history. We provide chilled delivery service to many central areas of Bali, with only a small minimum charge. Three times a week our refrigerated truck goes to customers in Ubud. Long distance customers can order, pay by transfer and have their special goods shipped to their home or party venue. We happily wrap things for gifts or shipping and can order dry ice for those who request it. Yacht owners can order and have their food delivered to their mooring by appointment. 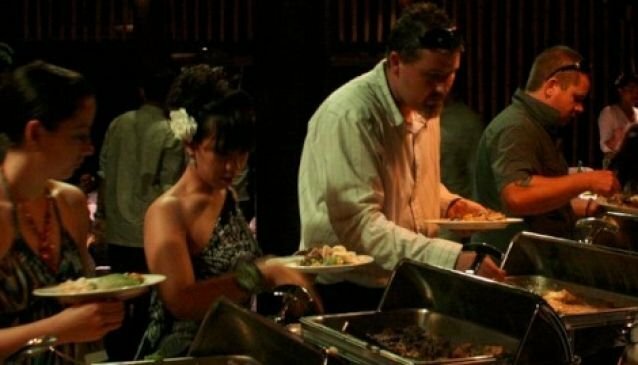 For catering menus go to http://www.dijon-bali.com/packages.php and click on a menu in 1 of these 6 categories.